Parents often age at different rates. This can mean that either your mother or your father is in need of more help around the home than the other parent. And so you can make the process easier on you both by speaking directly with the parent that is more independent and better able to make a prudent decision for both of them. Even if both parents would benefit from the assistance, you may be able to move the process along by suggesting that one or the other really needs help to get them both in the right frame of mind. You will need to be respectful but pragmatic about the situation: a parent’s deteriorating health is difficult for everyone, and denying that reality will only hurt the family more in the long run. An initial approach to bringing caregivers into the home might be to ask them to take on light chores around the home to help your parents as they age. This ensures that the parents become comfortable with the person’s presence in the home and they see the caregiver isn’t a threat to their independence. 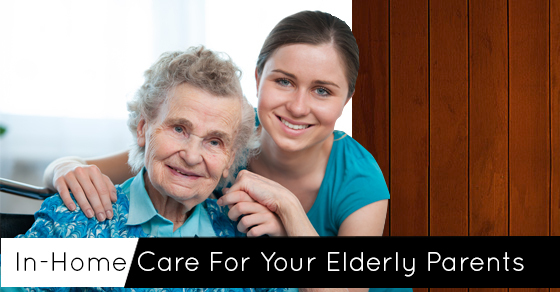 You might also suggest that the caregiver offers help with tasks such as shopping, laundry, housekeeping or traveling to appointments, thereby minimizing the burden on the parent while still allowing them the personal freedom to schedule their own lives. Even as both you and your parents age, you continue to be your parent’s top priority. If your parents are resistant to getting in-home care, you can try explaining that you’re having difficulty managing their care needs alone. You can try explaining that your job and your other family responsibilities are starting to suffer and that you’d like to be able to do it all but you’re struggling to keep up. This may give you parents a greater incentive to accept help and take focus away from their fears about aging and diminishing independance. By communicating effectively with your parent on the benefits of the caregiving process, you can ensure they’re ready and willing to participate when a specialist is invited to their home. To discuss this process further with a specialist, contact our team today! A very real option for many elderly patients is staying in a nursing home care facility — a less than ideal solution for many. If your parent or parents still want to retain their autonomy and remain in their home, encourage it! Usually this is also your childhood home, something that they have worked years for and are proud of. They are understandably attached to their home. But remind your elderly parents that remaining home would only be possible with the care and presence of a trained caregiver.